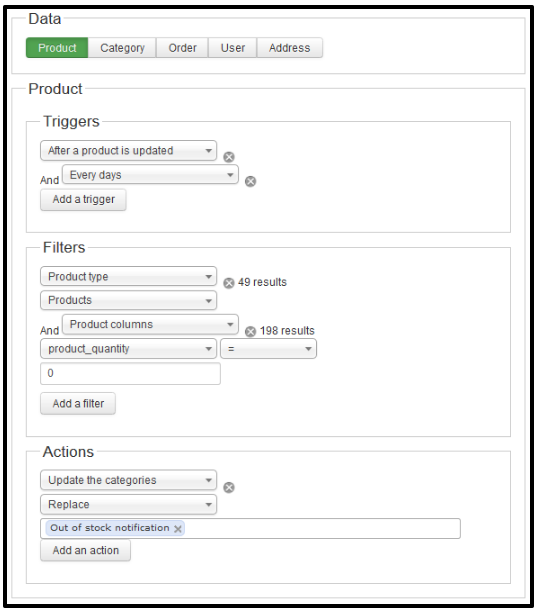 How to create or edit mass actions in HikaShop for Joomla 3.x ? These mass actions will allow you to process almost everything in Hikashop, directly from this screen or based on a specific trigger. 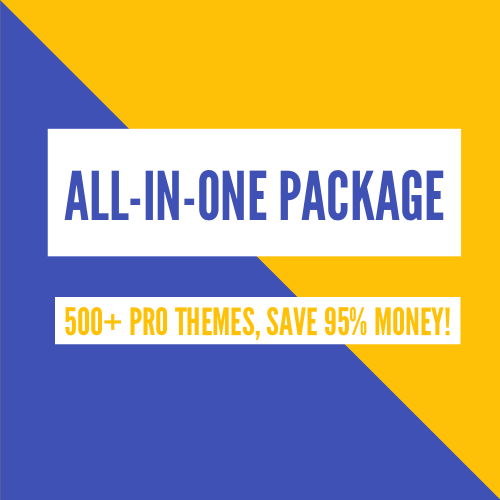 Thanks to this system, you can edit multiple products in one click as well as categories, orders, addresses or Hikashop users, avoiding long hours of repetitive work doing it element by element. 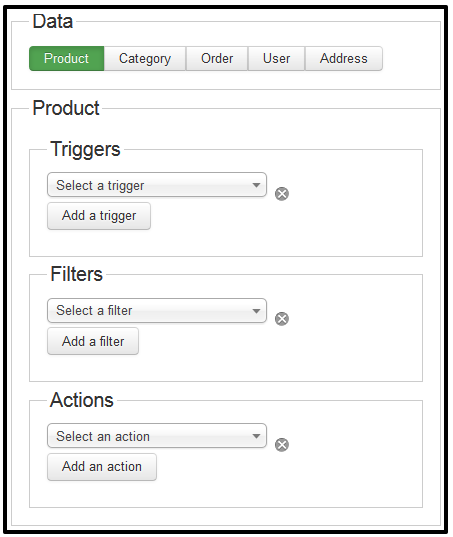 Mass actions will for example help you move thousands of products from one category to another or change the order status for every orders of a specific customer in a few clicks. 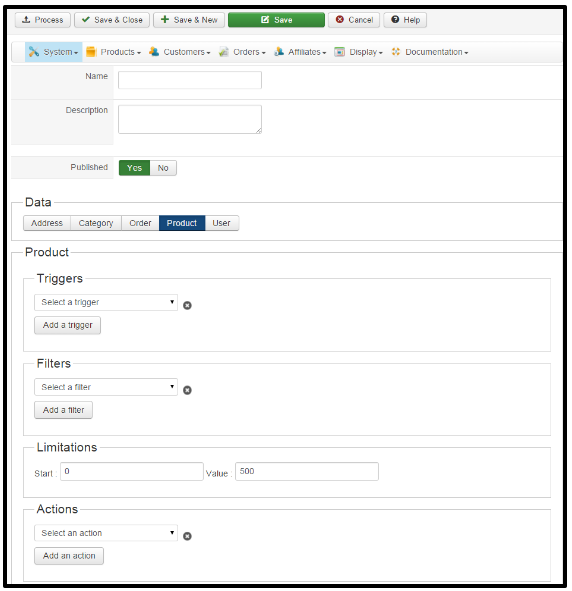 In addition to these one time processes, you will also be able to create tasks executed periodically or on a specific triggers like at the order creation or when a product is deleted, etc. 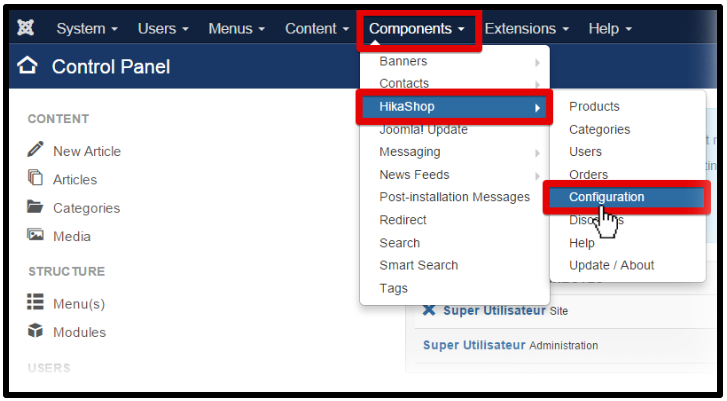 Go to “Components -> HikaShop -> Configuration“. Then, click on “System“, and “Mass actions“. You can now, see “Mass action” screen, here for example, as no Mass actions have been configured, the listing is empty. 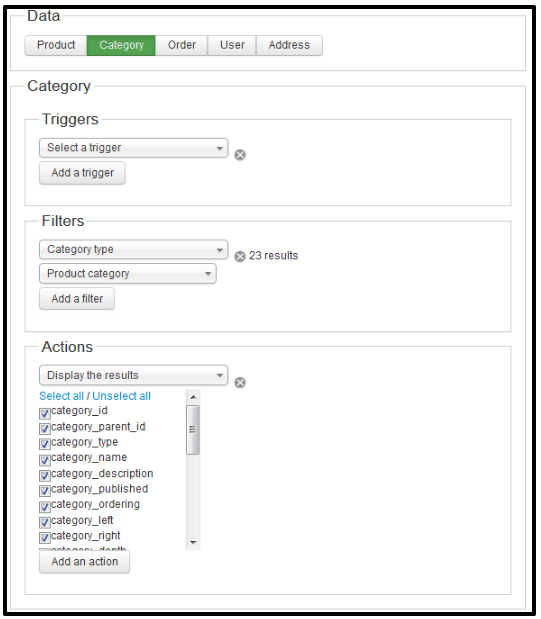 Triggers : Triggers allows you to specify when the mass action should be processed. You can either use it to execute your mass action on a regular frequency (for example you can import a csv with your products every day, updating your data according to the modification you made in the file), or execute the defined action on a given trigger like after a product is created. This way, you will be able to define for example a weight for a newly created product if you didn’t specified any, avoiding shipping method errors. If you use a time trigger or click on the process button, the system will use all the data available but if you choose a trigger like “after a product is create”, the mass action will run only on the data of the trigger, so only on that product in that case. First, to use the mass actions you have to click on the menu “System” then “Mass actions”. When you arrive in the mass action page, you have to click on the “New” button in the toolbar in order to create a new Mass action. nce you are in the Mass action form, you can enter the main information relative to the mass action you’re creating. The following fields allows you to set a name and a description to your mass action. We recommend to set meaningful information, it will be easier for you to find back a mass action in the future. As all the other features, you can publish or not the mass action. It’s useful when you are using one or many triggers in the mass action. When the data is selected, you can choose one or many triggers, filters, actions. To add one of these elements, you just have to click on the corresponding “Add a …” dropdown and to remove one of them click on the remove icon. 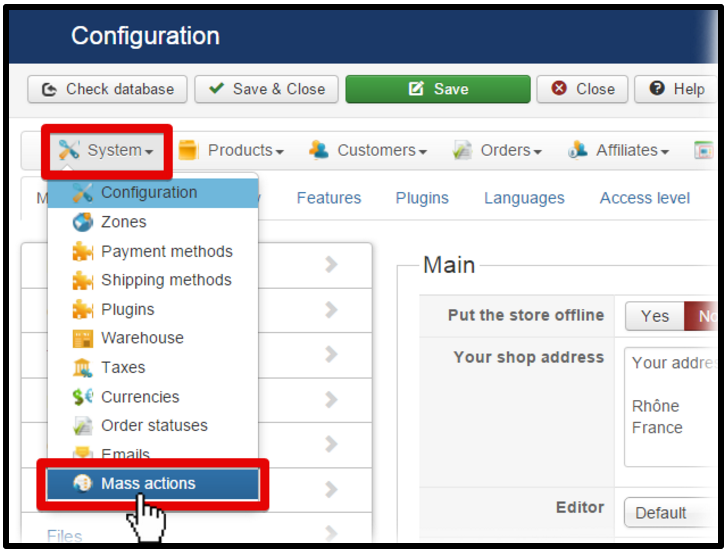 As an example of the use of the mass action system, we will see how to move all the out of stock products into the category “Out of stock”. This mass action will modify the categories of the product being updated when called on the “After a product is updated” trigger, and will affect all the products when called by the “Every days” trigger. Note that the first trigger passes an element to the mass action, processing only this element. At the opposite, the second trigger, since it’s not applied on a specific element, will be based on all the elements. If we have at least one product which is out of stock, the action “Update the categories” will be executed on it/them. As you can see, there is a dropdown on the left of the action, it allow you to select “Add” or “Replace”. We wanted to change the category so we selected “Replace” here. To add a category beside the current categories of the product, just choose the “Add” option. Don’t forget to save the mass action. Otherwise, it will not be triggered. If you click on “Process” it will execute the mass action on all the elements corresponding to the filter but only at that moment. To display the products categories, you have to use the filter “Category type” and select “Product category”. Then, in the action, simply select “Display the results” and you will see the elements to display. By default, nothing is selected and you can check all the columns by clicking on “Select all”. To display the results, just click on the “Process” button and the process will execute the selected action(s), and save the current mass action.